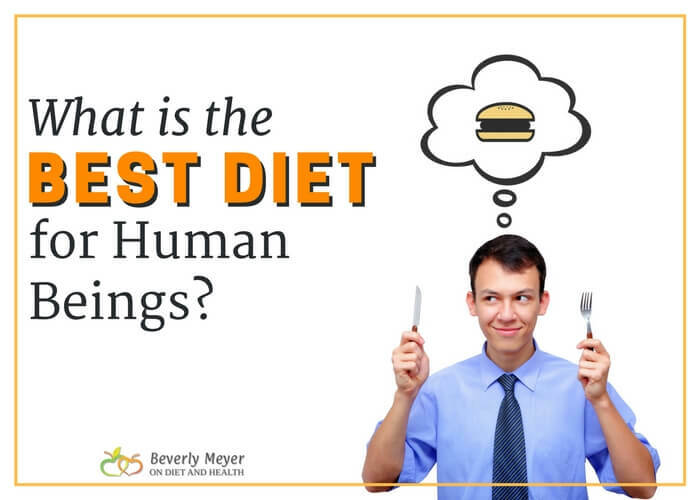 The best diet for human beings includes the foods we evolved to eat. What our teeth, enzymes and intestines can process. We didn’t used to eat hybridized grains, sugars, or dairy products. We did eat fishes and animals and gathered plants, flowers, some eggs, seeds, herbs and fruit. 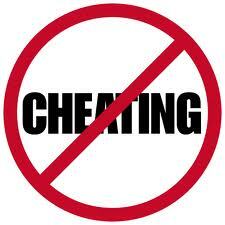 No vegetable oils, food chemicals or feedlot meats. But humans (and other creatures) will eat junk food if it’s available. And for humans, grains and sugars are junk food! Companies make them “hyperpalatable” so we crave them and overeat. They may taste “good” but that’s usually due to chemical additives or the presence of fat which we crave. Are grains bad for people? Grains are the seeds of grass. The wheat, corn and rice we make into bread, chips and sushi are the seeds of grass, botanically the “cereal grasses”. 1). We have different digestive systems than horses, deer or cows. Ruminants evolved to eat seeds and forage on the ground (their jaws point downward to walk and graze at the same time). This forage is fermented constantly in special digestive chambers of their stomachs. Human digestive systems are completely different. Grains ferment in our guts – not in special fermenting chambers – causing inflammation, bloating, constipation or diarrhea. 2). All seeds have advanced “defenses” to prevent humans, birds and animals from eating them, or if eaten, to pass through undigested. These seed chemicals can be toxic to humans (since, unlike horses, we didn’t evolve to tolerate them) and are high in inflammatory Omega 6 fats. Milking a horse or camel is recent in our evolution, after domestication began. (You can’t milk a wild horse)! If domestication began around 10,000 years ago, we’ve had just a short time as a species to adapt to the lactose, casein, whey and albumin in animal milk. Some of us can do it. Most of us cannot. But humans crave fat, so butter and fatty cream are highly desirable to us. Ghee is pure butter fat and is the only dairy I eat. Some people can handle butter and aged cheeses but I find few people actually tolerate milk, yogurt, kefir and soft “cheese” such as Mozzarella and cottage cheese. Doing a controlled food challenge by eliminating dairy for a month or more and adding it back one item at a time is the best way to tell what dairy you tolerate. Get instructions for that in this blog post. Humans didn’t evolve to produce or use much Insulin as we didn’t overeat carbs. Modern sugars and starchy foods cause us to overproduce Insulin. With excess Insulin our cells become resistant to and unable to absorb Insulin or the nutrients it carries. You then store excess carbs as fat around the waist. You gain weight. Estrogen levels increase too high. Your joints hurt from carrying extra weight and you stop exercising. It’s a downhill slide to Insulin Resistance, Metabolic Syndrome and Fatty Liver Disease. Removing foods that your immune system may attack as “not human foods” can reduce antibodies and help rest your immune system. 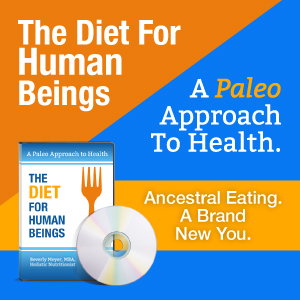 I created The Diet For Human Beings 20 years ago, before Paleo became famous! It’s the way I teach my clients to eat. Avoiding grains, sugars, chemicals and most dairy has changed my life. If you’re overweight, you’ll lose fat while eating hearty meals with plenty of protein, fats and vegetables. If you’re Insulin Resistant or have high Triglycerides, that will improve as well. Here’s a page of FAQ’s and Reviews of the DVD/Video. 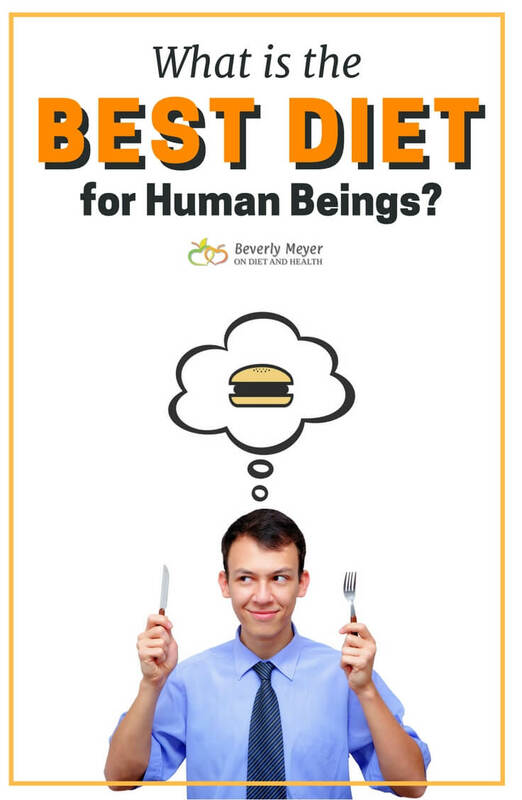 It contains helpful details on the best diet for human beings. Watch this You Tube intro! 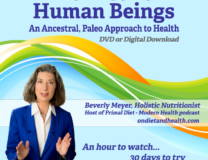 Watch this short intro to the DVD here. Work really hard at this Diet Reset for 30 days – you’ll see changes and will never go back to junk food again!